Having a website for your coffee shop or food business is productive and a great idea of marketing. In fact, creating an affordable and low-cost website is now easy with the use of WordPress themes. In this blog, we are sharing the best 6 Coffee Shop WordPress Themes with you. These will provide you every useful feature which is required for the setup of a business website like blog section for latest updates, service section for different kinds of services that you offer and much more. All these themes will help you to present your coffee shop website or any kind of food-related business website with a pleasing & clean look. These themes come with powerful features like unlimited colors, responsiveness, clean and beautiful layouts etc. Further, the templates are also cross-browser compatible and SEO friendly. Coffee day WordPress theme has an attractive layout for your coffee shop site which will help you to drag traffic to your site. With this theme, you can establish a better position among your coffeeshop competitors. Also, you can easily customize all the sections required for your website like blog section, testimonial section, sidebars etc. It’s best suited for those who are in the business of the coffee shop, coffee restaurant, bistro, and restaurants. You can buy this CoffeeShop WordPress theme by paying $79 with a live demo and lifetime update service. You can show your previous visitors saying with their views, images & name in the testimonial section. This template has an inbuilt contact form with Google Map integration so that users can get in touch with you and find you easily. The CoffeeShop template comes with a plugin through which you can create a booking form for events, parties. You can add 5 different kinds of images on box slider with a small caption on it. You can decorate your homepage with an attractive gallery section with coffee images. 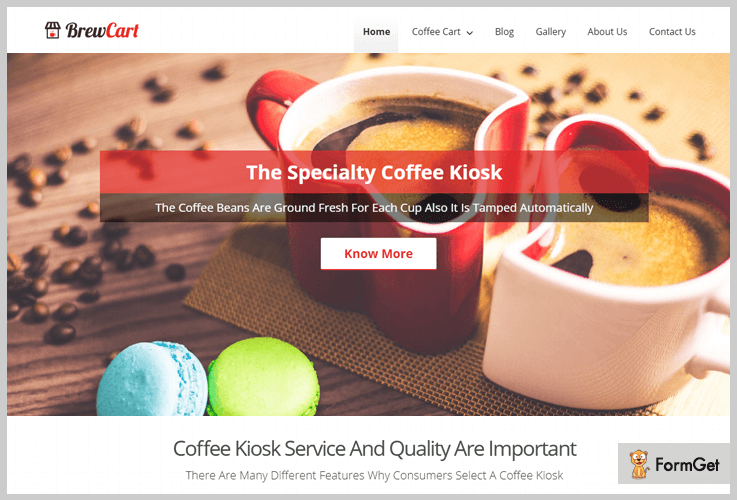 Inspire your coffee lovers more to your coffee shop with this brew cart WordPress theme. This will help you to create a high profile site for your cappuccino stands, espresso cabins with its amazing features. Like layered full-width slider with menu chart image & meta text on it, sliding blog section with upcoming- recent updates, recipes, key points of a coffee shop and much more. Beverage suppliers, refreshing drink sellers, a coffee kiosk can implement this premium WordPress theme on their site. This multipurpose clean and modern design template has a price tag of $79, which also provides you with a developer license. Enrich your site with the accordion zone where you can spotlight your cafe stall information. Show your pricing, delivery, serving services in service section area followed by flipping effect. Custom page template will let you create different kinds of pages like for contact us contact page, a portfolio with gallery page. Built you with debug mode on so that if some error occurs you will instantly get the warning. You can put some videos in the right widget area for your visitors. 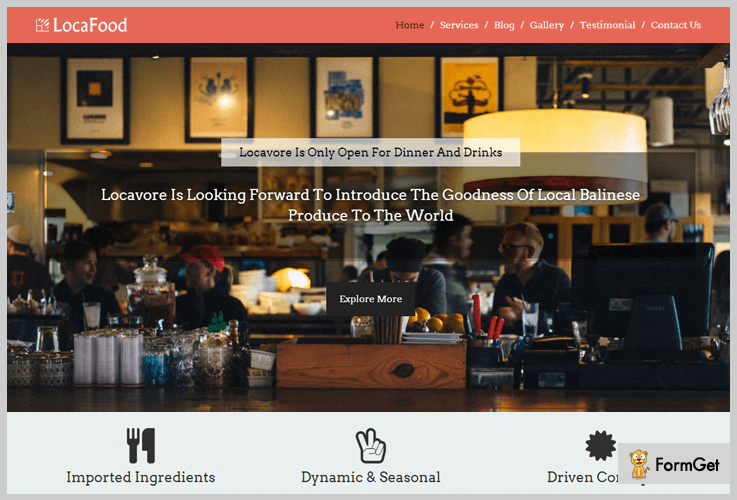 Locavore Restaurant WordPress Theme is a one-page paid template presenting the local joints in the most appealing manner. This will enable your site layout in a simple and easy way for your users as all the important description will be on the homepage itself. Even its single page template but it will enrich you with full-width sliders with images and catchy heading on it. Column feature section area reveals your coffee shop services with 200+ free Google font icons. To apply this template to your dining outlets and local joints site you need to pay $79 if you are not satisfied with the theme then there is a money back guarantee in 30 days. Gallery section with parallax effect will definitely show attract visitors to your website. You can add your custom logo and favicon icon on your site in an easy way. Since its a one page theme, it has a responsive layout that suits your business. 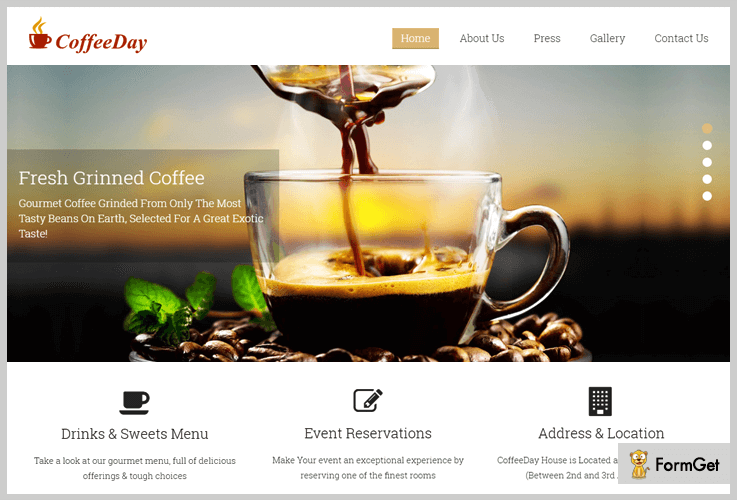 You can enable back to top button for your users with this coffee shop template. Looking for a template that will display your barbecue restaurant website in a well settle way. It’s here, barbecue WordPress theme. 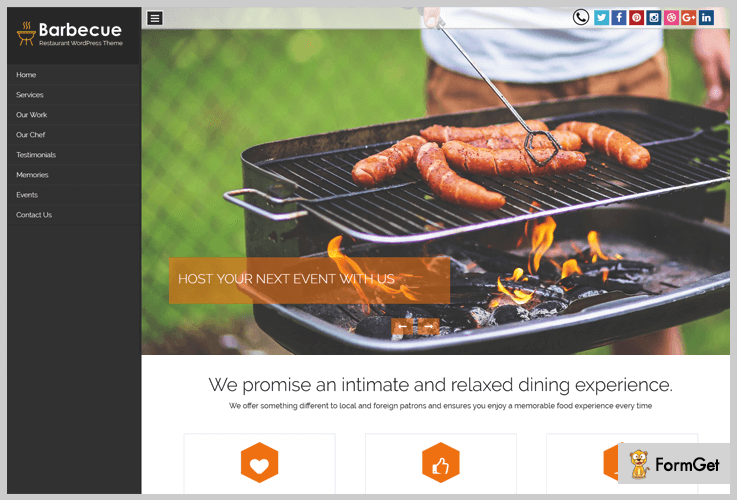 Barbecue one-page theme will demonstrate all your services and boost up your site to gain the attention of your users. The theme delivers you with tons of features like 10 pre-built color options, responsiveness with all screen sizes, compatibility with all cross browsers like safari, chrome, opera mini etc. In fact, the menu panel pops in and out from the left side of the homepage. The Barbecue template costs you $97. Moreover, you will be benefited with future updates. Introduce your skillful chefs in team member area with your users. Show your delighted words from clients in the testimonial section. This template has a full-width slider menu hidden on the home page. Show your amazing work skills through videos in or work section area. Share your tips, ideas, updates related to any kind of barbecue restaurant or dishes in blog section area. 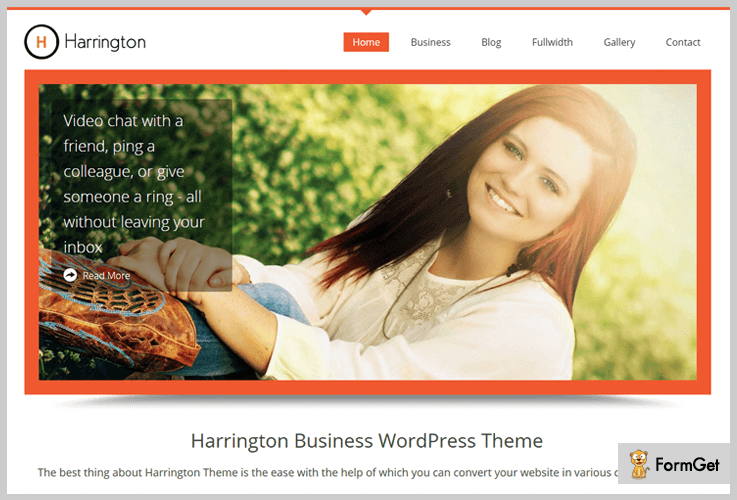 Harrington is well-known template due to its simple and easy to use features. This theme is suitable for both of your professional and personal websites. It has a full-width slider, where you can show images of coffee centers with a small caption on it. It also has search bar option and a page template to write about your services and information of restaurants. The template is free of cost, you can easily download it from WordPress.org with its advantage of having multiple features. Compatible with each kind of plugin whether it’s of WordPress or any other. This theme comes with 6 widgetized area – 2 in the sidebar and 4 in the footer area. It contains threaded comments section for your users to share their words with you. Also, its translation ready theme with the help of plugins. 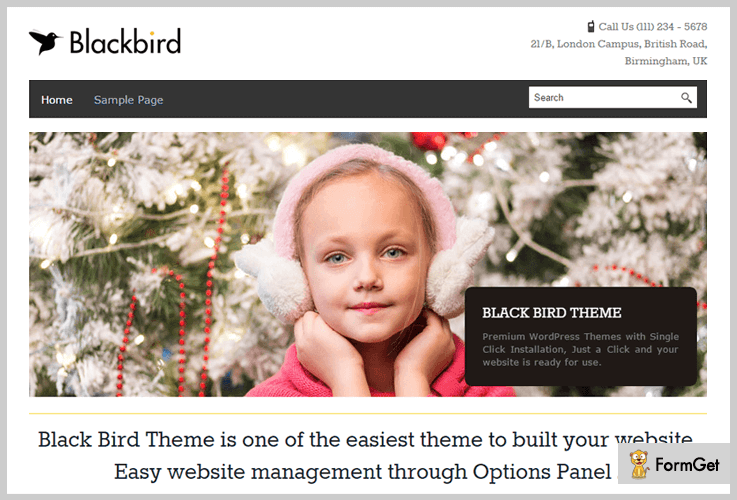 BlackBird is a very popular WordPress theme with 3000+ active installation. The theme is well suited for every kind of niche. Also, it supports customization so, you can add your own logo, text, background using theme options panel. You will be enriched with its dummy content which can be easily accessible by you through adding text and images related to your business. BlackBird WordPress theme is free for you, with its multiple services like lifetime support, responsiveness. You can write updates, tips and many others posts related to coffee in blog section area. The BlackBird will display your contact details at top of the homepage for your visitors. Footer section area includes social connectivity, about us, videos for your site. The template is compatible with RTL language which will flourish your site. We have shared all the features and their functions of CoffeShop WordPress Themes with you. We are pretty sure that you will find the best theme which will definitely showcase your website in high level. If you feel to share some views with us feel free to comment below.